Rotten Tomatoes Plot: From the Marvel Cinematic Universe comes a new chapter featuring heroes with the astonishing ability to shrink: "Ant-Man and the Wasp." 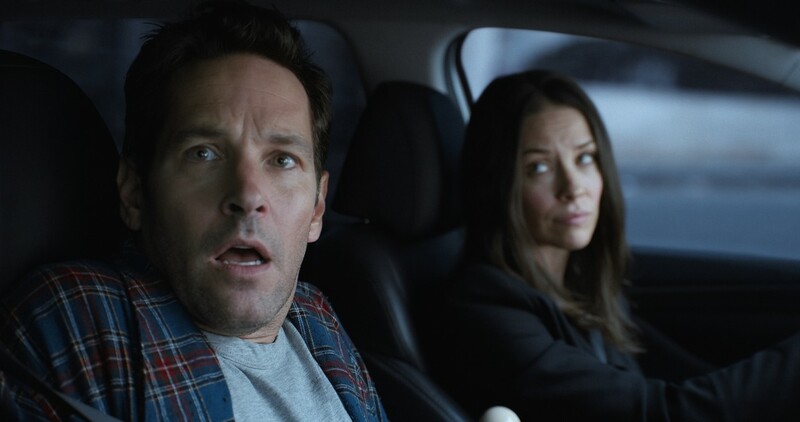 In the aftermath of "Captain America: Civil War," Scott Lang (Paul Rudd) grapples with the consequences of his choices as both a Super Hero and a father. As he struggles to rebalance his home life with his responsibilities as Ant-Man, he's confronted by Hope van Dyne (Evangeline Lilly) and Dr. Hank Pym (Michael Douglas) with an urgent new mission. Scott must once again put on the suit and learn to fight alongside the Wasp, as the team works together to uncover secrets from their past. Directed by Peyton Reed. Rudd confesses, "It's not the reunion I imagined." You can say that again. The $162 million sequel to 2015's delightful Ant-Man is a big disappointment. In fact, it's everything I thought the original would be. Cutesy to a fault (Disney strikes again) and oddly confusing (seriously, quantum physics... for a Marvel crowd?) Reed's sequel replaces the charm and stunning visuals from three years ago with an endless array of bad jokes and surprisingly lame CGI. Instead of Ant-Man in action, we're forced to drive around town with three of the most boring people in the world. Where's my fly swatter?